Klara can’t get to sleep. She does everything she can think of, like drinking extra water, taking an extra trip to the toilet, and trying to convince mummy to sing just one more lullaby. But no matter what she does, Klara feels wide awake. And things doesn’t get any easier when Klara learns that the monster in the cupboard can’t sleep either! Wide Awake is the classic tale of a child who neither can nor will sleep – and about everything that happens when she tries. Irene Ahnéll (b. 1971) works as a director and an actress. 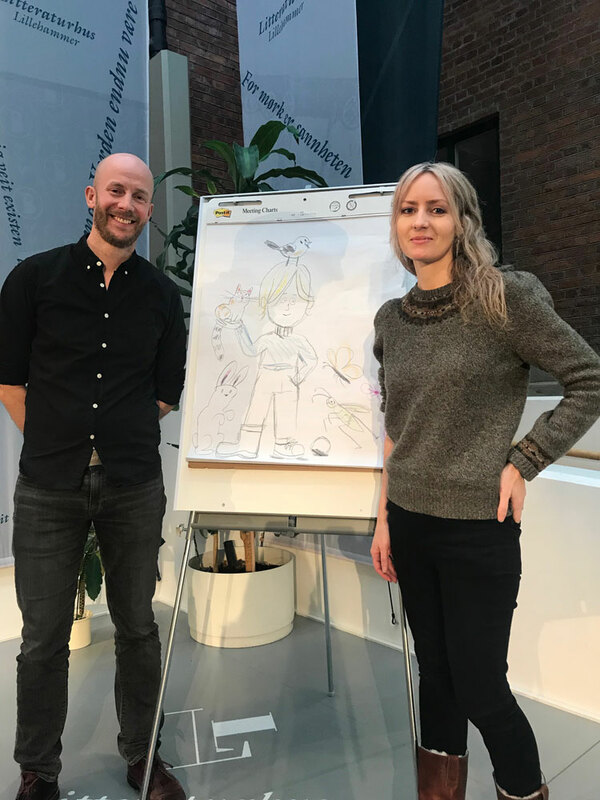 She is an artistic director for the Bergen-based theatre company, Krabatene, who specialize in creating theatre for children and young people. Wide Awake is her literary debut. Elisabeth Moseng (b. 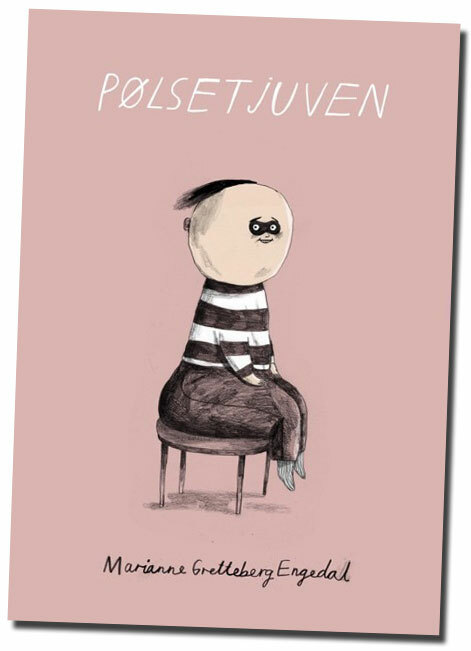 1967) is an illustrator and author. Moseng has been educated at several institutions, including Kingston University in London. 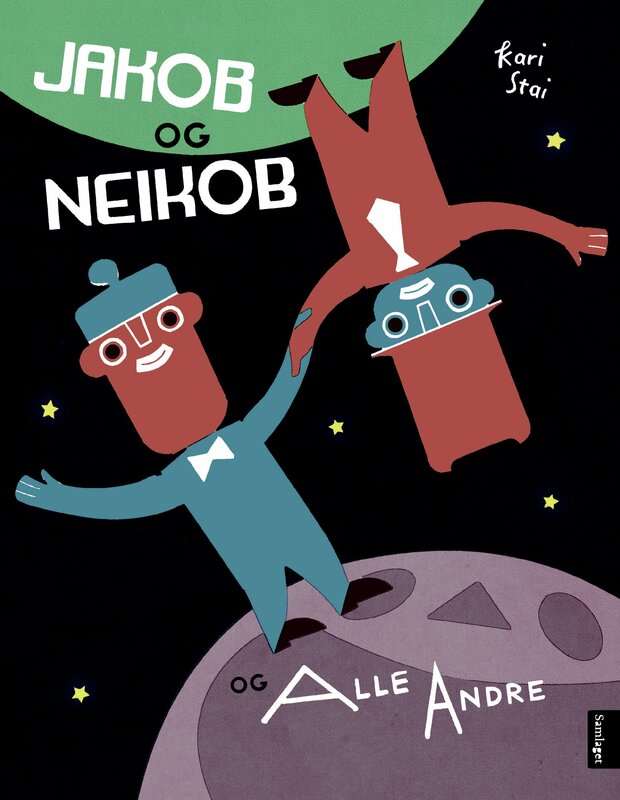 She has illustrated a long line of books and was the mind behind Mr Jones Got a Visitor/Herr Hansen får besøk. This tale takes place in a world where every family has a profession they are born to do. Bill doesn’t like stealing, and mostly only pinches junk that nobody wants. His family thinks Bill is a bad burglar, and so they pressure him into stealing from his friend. Bill wants to turn over everything he stole, but on the way there he encounters a band of people who were also born into the wrong profession, and who have run to the woods to escape. The Sausage Burglar is all about finding out who you really are and being brave enough to live the way you want. Format 21,5 x 30 cm. 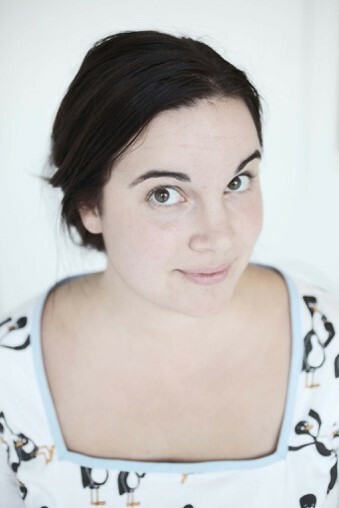 Marianne G. Engedal (b. 1986) is an illustrator and a chef. She was educated at Bergen’s art academy, Kunsthøgskulen. This is her first book. Woolly and the other sheep in her flock are playing hide-and-seek. Woolly is great at hiding, but the others aren’t that good at finding her. All of a sudden her flock is gone, and Woolly has to find her way back to them. While trying to find her friends she gets totally lost and meets all kinds of different animals. First a beaver, then a stoat and then a moose. No river, rockslides, nor even sleeping bears pose a problem to Woolly and her new friends. But can Woolly find her flock? 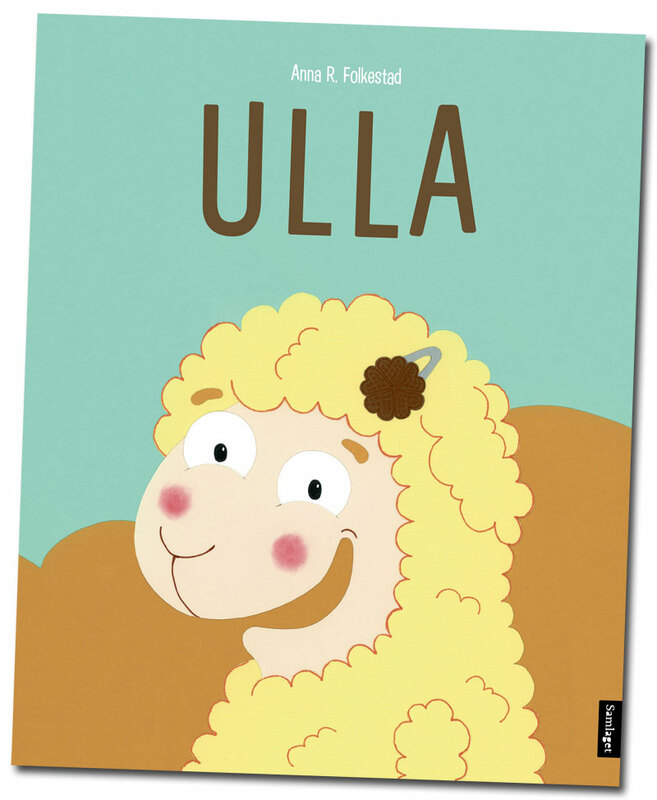 Woolly is a heartwarming and laugh-out-loud story about flocks and friendships. Anna R. Folkestad (b. 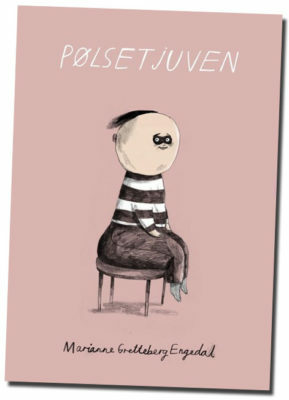 1983) is an author and illustrator. She has written many books, including her popular books about Besta and Bo. 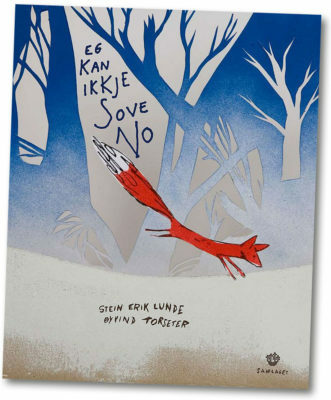 In 2012 she was awarded the Neo-Norwegian Children’s Literature Prize for her Unni and Gunni series. Lukas is a small, boy, with a kind and curious heart. Through his perspective he sees the everyday events – little things that can be big and dramatic to a four year-old. 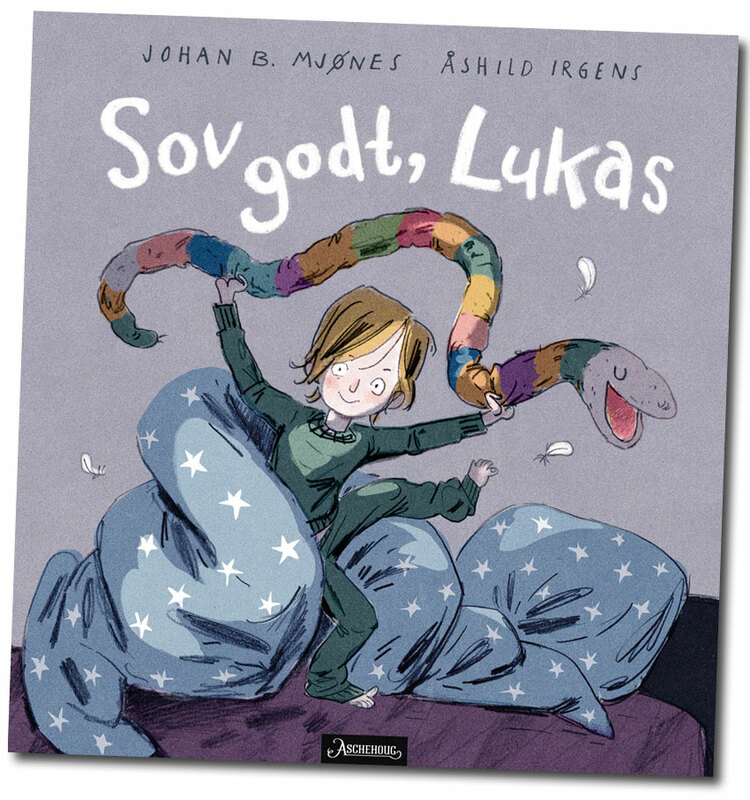 The charming tales of Lukas´ world fill readers with wonder and questions. It’s easy to grow fond of Lukas – and once you get to know him, you might even want him as a friend! Lukas finds it hard to sleep. And it doesn’t get any better when the grown-ups try to help. Everybody in the house tries to get Lukas to sleep, even Oscar the dog. Everybody ends up falling asleep themselves instead. Finally Lukas finds his own ways. Little Lukas has no one to play with. He putters around on his own. When he starts to play and build a hut, one by one of the other children wants to join him. The story develops and in the end all the children have joined in on the project. There is a room for everyone in Lukas’ hut. A big sparrow drama for Lukas. Luckily with a happy ending. A sparrow flies into a windowpane and lies lifeless on the ground. Is it dead? Lukas carries the bird inside the house, and the grown-ups come to help. Their curious cat approaches, creating a dramatic moment. In the end everything works fine – the sparrow is not dead and can fly away. Complete English versions are available for all titles. 32 pages. Format 22 x 23 cm. 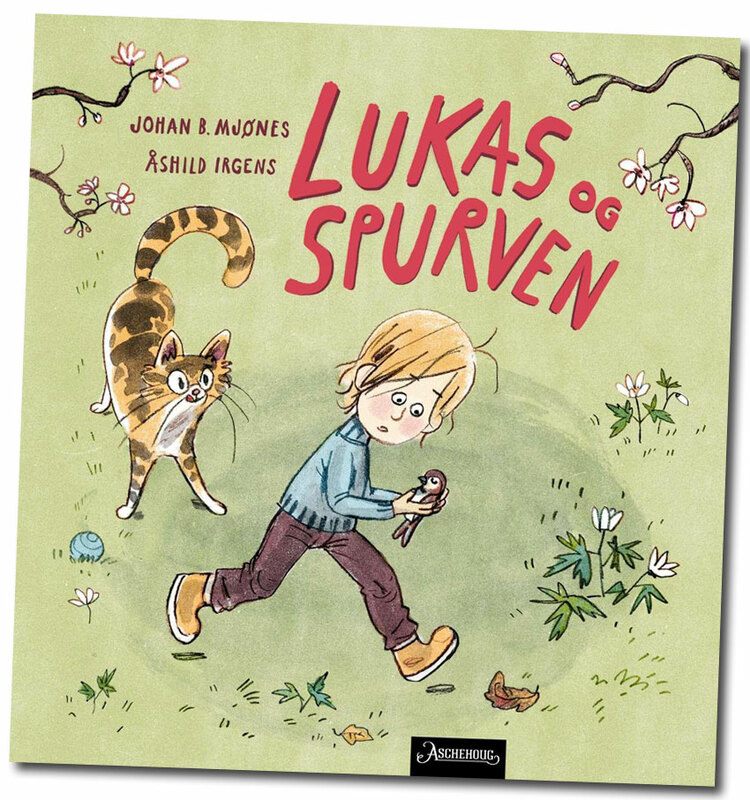 The fourth book in the series – Lukas and Kim – will be published September 2019. Johan B. Mjønes (b. 1976) writes books for children, YA and adults. He has a degree in comparative literature. His professional background also include photographing and lecturing at Aschehoug’s Scholl of Writing. 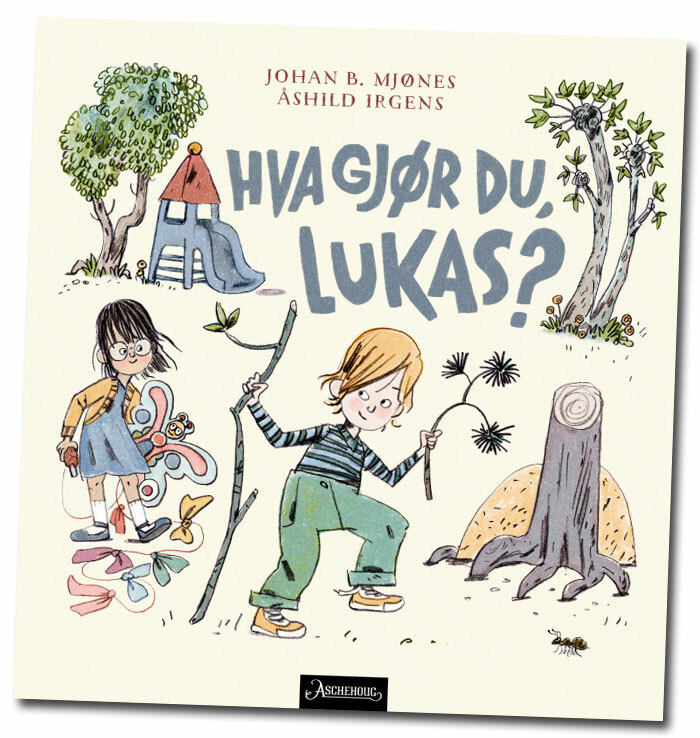 Åshild Irgens (b. 1976) is a popular illustrator and designer. She has a degree from Oslo National Academy of the Arts. 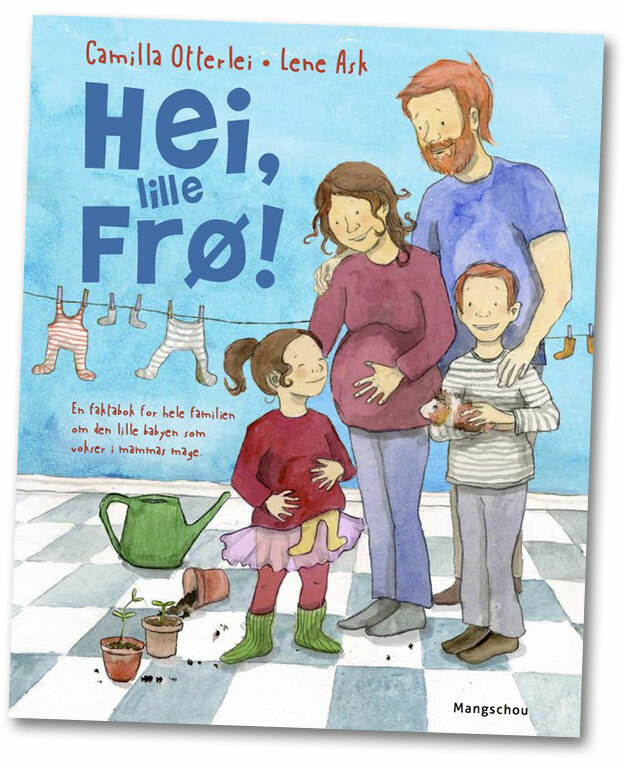 Camilla Otterlei and Lene Ask: HELLO, LITTLE ONE! What is happening inside Mom when she has got a baby bump? What does it feel like when a family is expecting a new member? 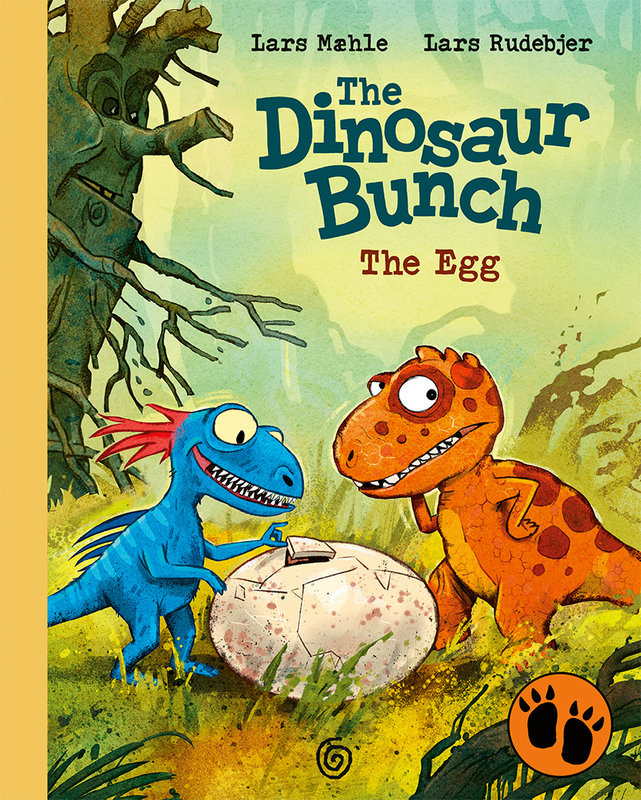 Get to know all about dinosaurs big and small in THE DINOSAUR BUNCH. 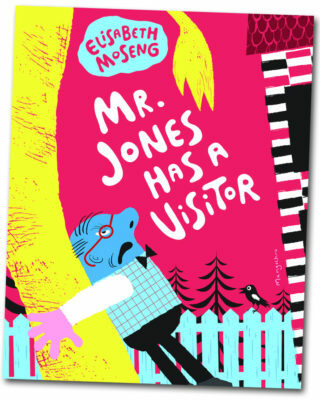 Rasmus Rex is a slightly anxious six year-old who lives together with his family in the big boggy forest. Rasmus is always being reluctantly dragged along on adventures by his best friend, Trym Troodon. Trym is six years old too, but nothing frightens him. And then there’s Grandma Rex. She isn’t nearly as sweet and elderly as she looks. Sometimes she can be downright deadly! Rasmus Rex is visiting the beach with his family and his best friend, Trym. 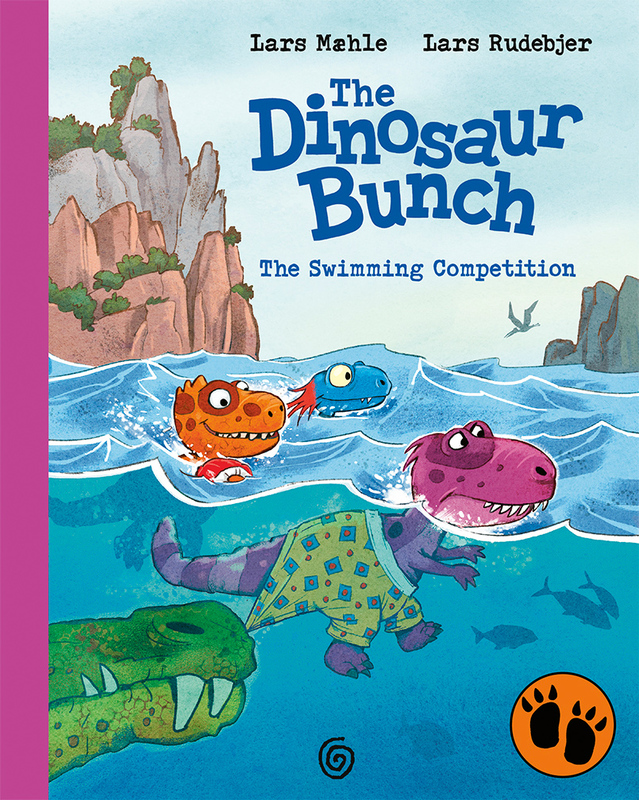 Rasmus isn’t such a good swimmer, so when his big brother Robin challenges Rasmus and Trym to a swimming competition, it can’t possibly go well. All these rumours about a sea monster in the water don’t help either. It turns out to be an exciting competition, with plenty of Dino-surprises the whole way through. 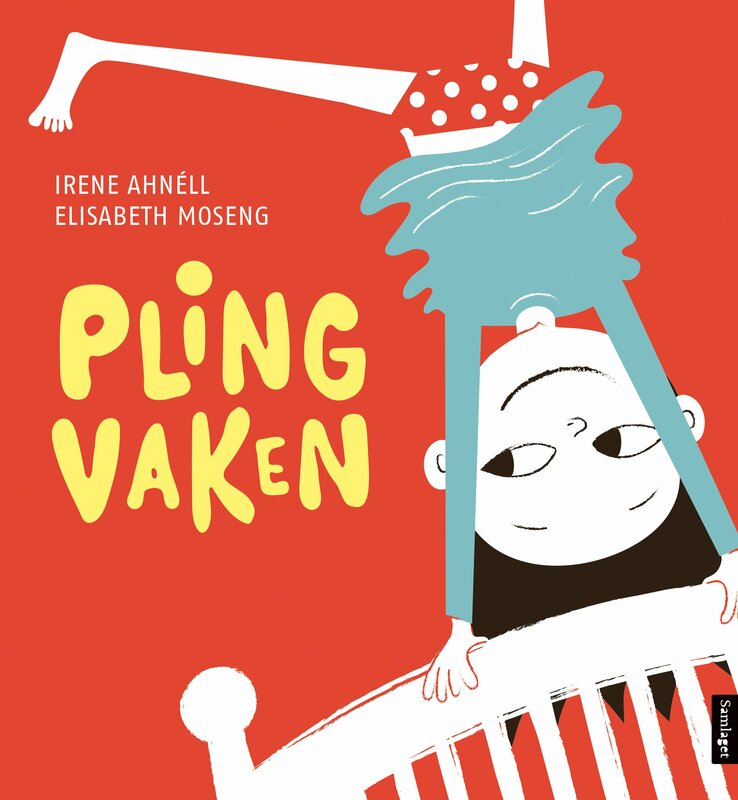 The fifth bok about the prize-winning, dynamic duo Yesper and Noper! – Noper, are you sad? – NO, I am devastated, Noper says. I want to be like Everyone Else. – Do know who Everyone Else is then? Yesper asks. – Will you come with me to find him? 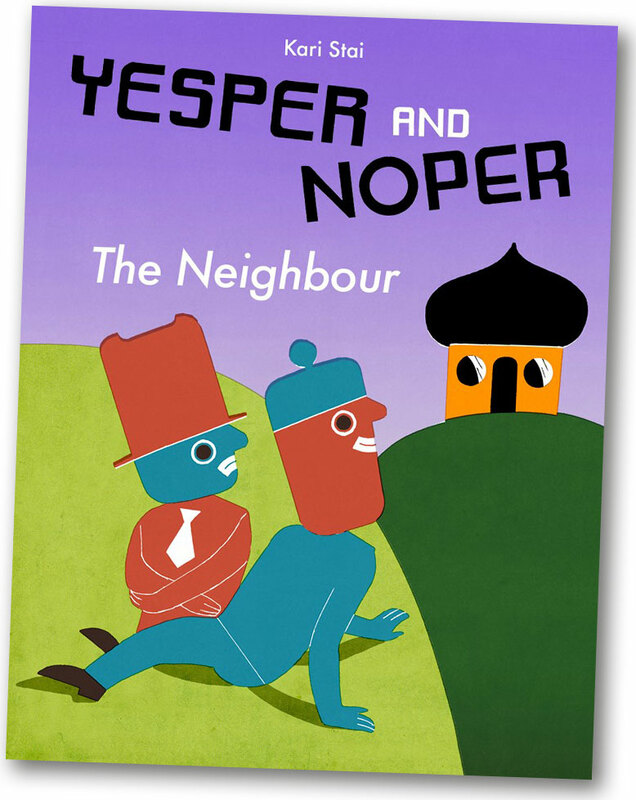 The fourth book in the series about Yesper and Noper deals with the unfamiliar. 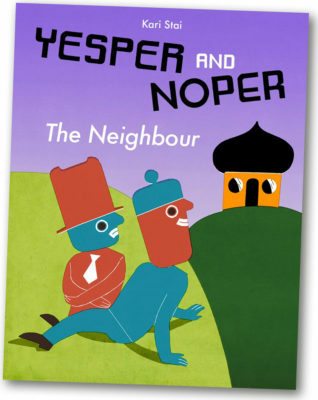 One day, Yesper and Noper see that they have a new neighbour. Yesper is happy, while Noper is extremely sceptical, building a tall fence to stop their neighbour coming to see them. Yesper builds a bridge precisely to enable the neighbours to visit each other. Hasn’t Yesper heard that you’re not supposed to talk to strangers? When their neighbour suddenly closes the curtains, Noper thinks this is clear proof: the neighbour has something to hide!